Decorate and personalize your outdoors with a pillows from E by Design's Outdoor Pillow Collection. The weather resistant fabric and unique style will enhance your outdoor living space. Nice pillow but not sure it’s worth the price. 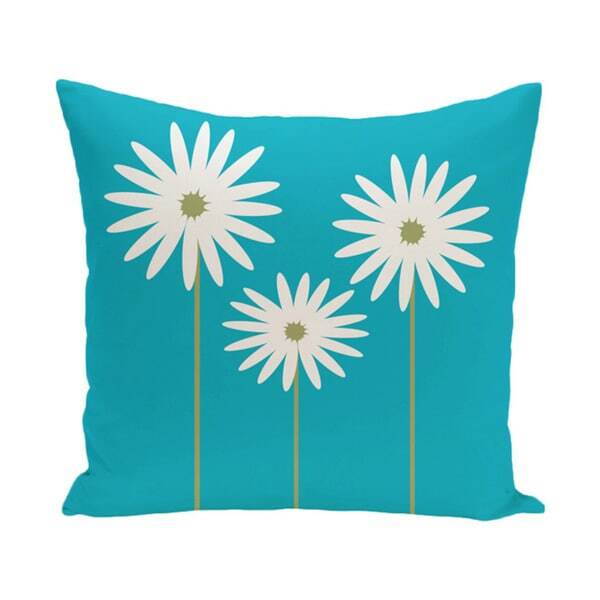 The design is very cute and cheery but I’m thinking I could have found an alternative pillow at a cheaper price. Fabric and color is bright and looks awesome on m chairs. I love that the pillow is 2-sides with image on both sides. "What kind of blue & yellow are these pillows?" Hello Jessie, these are a turquoise blue and pale yellow.